Backed by local band, the Rollers, Steve’s music is an eclectic roots fusion of blues, reggae and country rock. freely available on Soundcloud under 'Steve Butler Collection'. Denvah is an 18 year old Singer/Songwriter/Musician from Rockhampton, Qld. 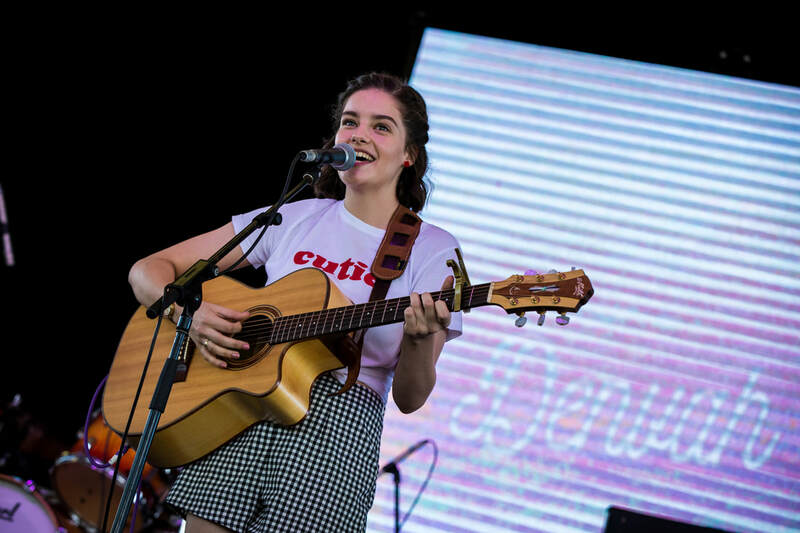 In January 2018 Denvah performed at the Tamworth Country Musical Festival as a Fretfest Finalist and was also invited to perform on stage with Busby Marou. In May 2018 Denvah was the support for Troy Cassar-Daley and Fanny Lumsden for the opening of Beef Week Australia and since has performed at other major events including the Village Festival in Yeppoon and the Capricorn Food & Wine Festival in Rockhampton. 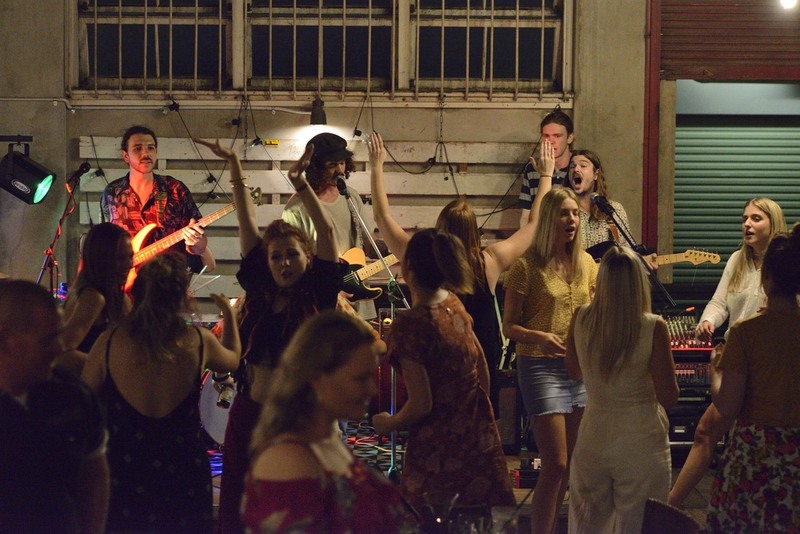 ​In November 2018 Denvah won the One Hot Night ‘Battle of the Bands’ competition and as a result was the opening artist for One Hot Night 2018 as part of a line-up that included Busby Marou, Pete Murray & Silky Fuzz. 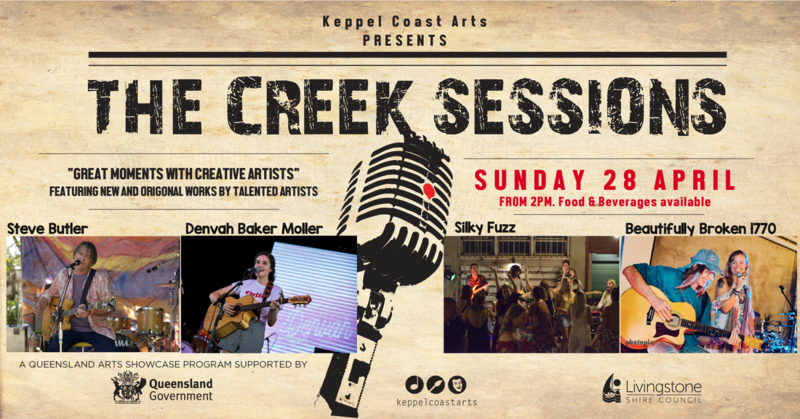 She also performed at Keppel Vibes as aheadline act with Brad Butcher and Silky Fuzz. Denvah has a growing repertoire of original songs with her unique acoustic contemporary style and also has a comprehensive list of covers she can perform. Denvah has an extremely bright future and is currently in the studio working on a demo album of original material. 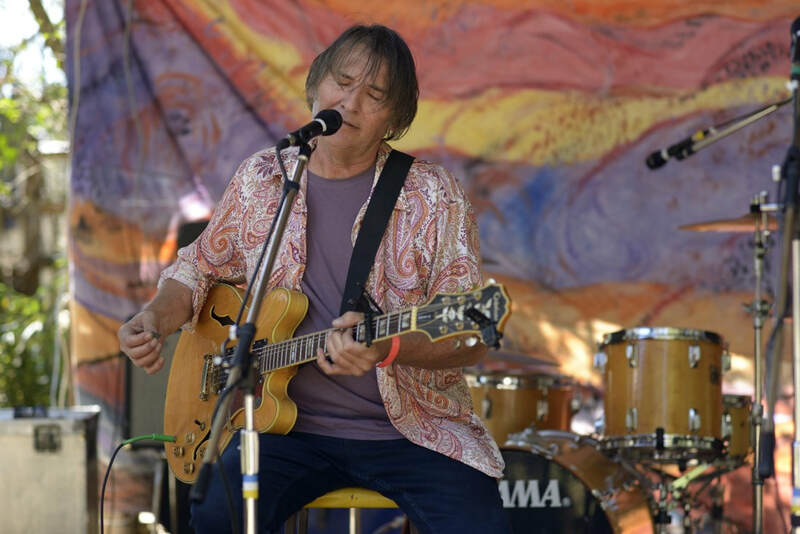 Special guest and Master of Ceremonies for the April 2019 Creek Sessions is well know veteran media identity Sheridan Stewart. For more than 20 years, Sheridan Stewart has been one of Australia's favourite FM music radio personalities and presenters. 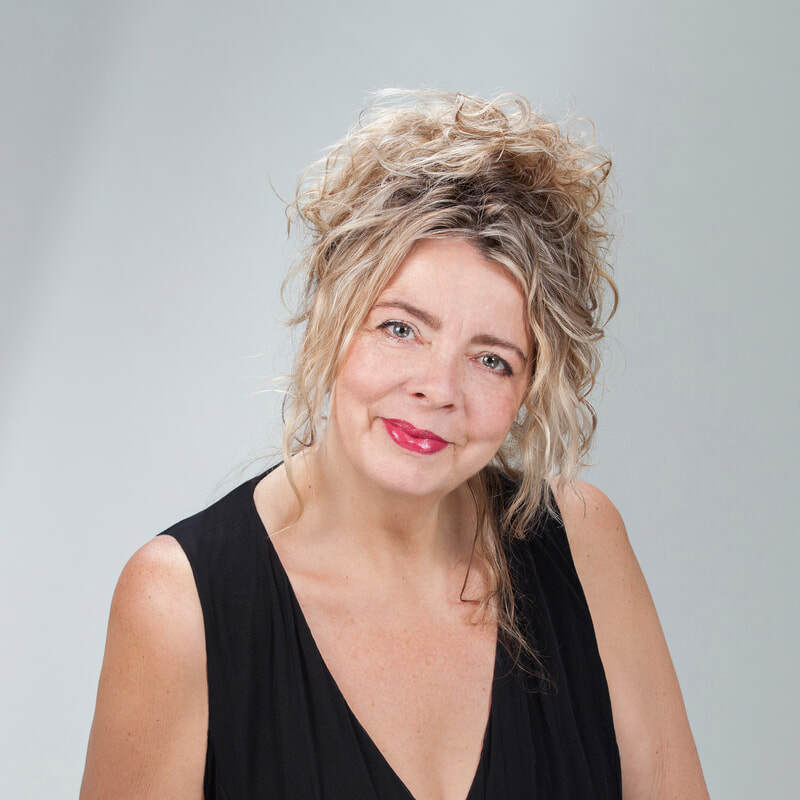 Her radio career took her from FOX FM, Melbourne to FM 104.7 Canberra, MIX 106.5 Sydney and MMM Brisbane before spending a decade at Triple M Adelaide and a memorable stint as the host of national radio countdown PLANET ROCK. The last decade saw Sheridan go from, as one friend describes, "rock chick" to "renaissance woman", hosting and producing award winning Fringe shows, exhibiting as an artist and writing screenplays but...something was missing! In 2014 Sheridan joined the ABC Regional team working initially out of Tamworth NSW, then Mildura, VIC before coming to ABC Sunshine Coast as the Drive presenter in 2016. 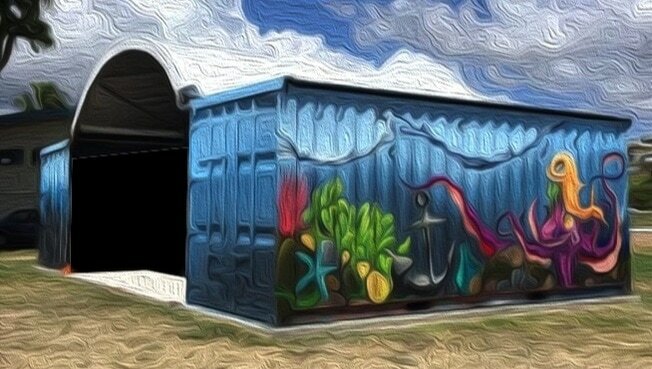 ​Fast forward to 2018 and Sheridan now hosts a longer, broader program for Regional Queensland taking in the Sunshine Coast, Bundaberg, Rockhampton, Longreach and Toowoomba, which she sees as a chance to connect with people living and working in one of the most diverse and dynamic parts of regional Australia. "I have deep roots in Queensland, my father was born and raised in Gordonvale, my mother attended school in Rockhampton and then worked in Warwick and my in-laws are from Yeppoon on the Capricorn Coast so it felt like a natural step to find myself broadcasting in Queensland." ​Beautifully Broken 1770 combine swampy blues, tingling folk and country rock to elevate those music loving souls. 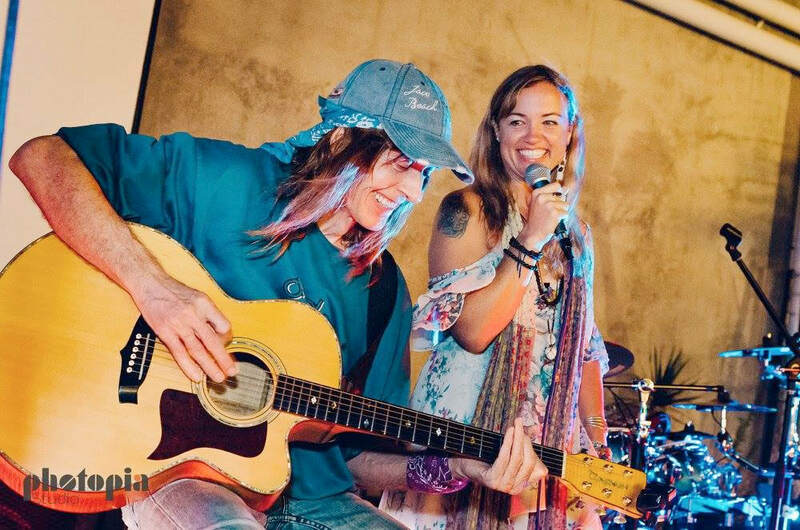 Step into a world of mesmerising vibrations as this folk rock acoustic duo breaks you free from everyday life. ​Share in the story of connection as the haunting chocolate rock vocals create a canvas of colour with unique guitar sound. Silky Fuzz, five musicians who bring a twist to Australian rock culture. The Fuzz showcase blues, regga and rock with an electric experience - for young and old, age does not discriminate as long as you keen to boogy. Silky Fuzz has opened for acts such as Pete Murray, Ian Moss, Busby Marou, The Presets, Dune Rats, Vera Blue, Thundermentals, Kim Chruchill, Tia Gostelow and Great Gable, and headlined at Beef Week 2018 (One Hot Night), River Sessions and Timberfest, Mackay. With 5 original songs on their playlist, a Regional Tour and follow up EP are said to be on the horizon.